Marvel Pocket Books | 'TAIN'T THE MEAT… IT'S THE HUMANITY! September of 1974 saw the publication of the first collaboration between Marvel Comics and book publisher Simon & Schuster. The book, Origins of Marvel Comics by Stan Lee, was a soft cover collection of reprinted stories featuring the origin tales of Marvel’s most popular characters. Published by Simon & Schuster’s imprint Fireside Books the collection would be one of the very first of what are now commonly known as trade paperbacks, a format that now dominates the comic book industry. The Marvel/Fireside books were aimed at two new potential markets: established comic book readers who wanted to own older stories that they may have missed, and readers new to the medium. 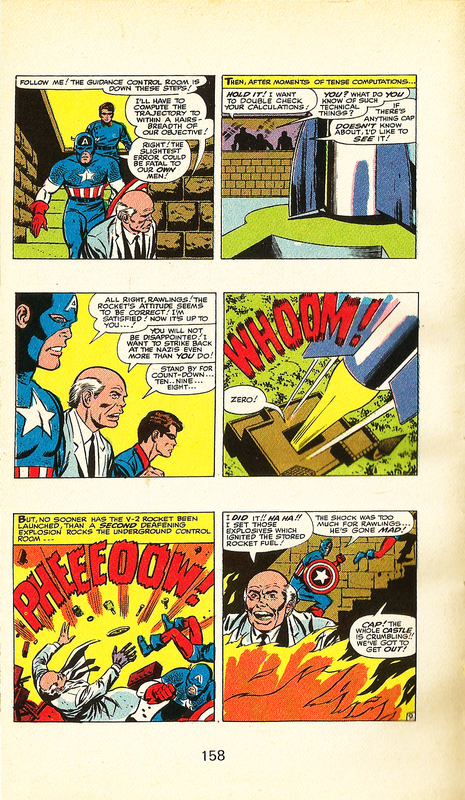 The book featured text introductions and commentaries by original author Stan Lee and was clearly aimed at a more mature audience. The book proved so popular that over the next five years another 11 collections were released, but these were not the only collaborations between the two publishers. 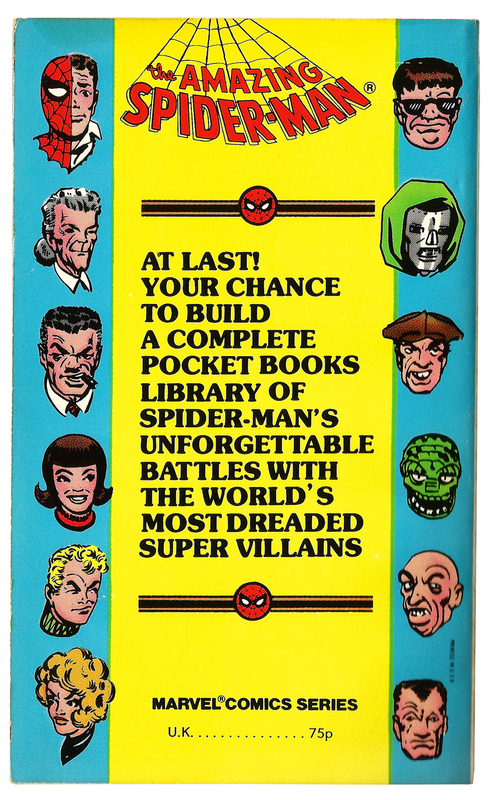 Between 1977 and 1980 another Simon & Schuster imprint, their hugely influential Pocket Books range, released another ten reprint collections featuring Marvel’s most popular characters. (In the UK the books were published by their British subsidiary Wyndham). Measuring 175mm by 110mm these books were the size of traditional paperbacks and were explicitly aimed at book readers whose exposure to comics was minimal. The majority of the books featured a text foreword and afterword by Lee, ran to 160 pages plus covers and on average reprinted six or seven complete or (in another nod to book readers) ‘unabridged’ stories. But Pocket Books were also keen to attract established comic fans so the books were printed in full colour, with many labelled as Collector’s Items (a term familiar to regular comic book readers) and all ten were released under the banner Stan Lee presents, a name all fans of the medium would recognise. 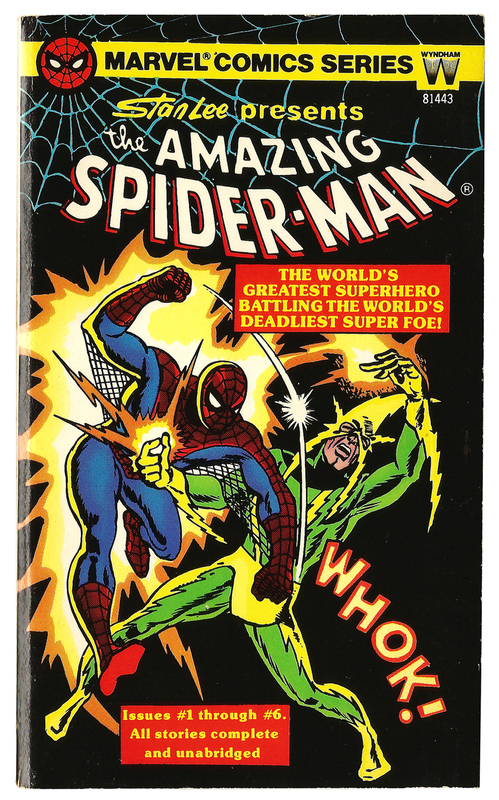 Unsurprisingly the first Marvel Pocket Book to be released was The Amazing Spider-Man #1, which featured reprints from the character’s first appearance in Amazing Fantasy issue 15 (originally released August 1962) as well as the first six issues of The Amazing Spider-Man (March – November 1963). The book also reprints the original covers to all seven issues and includes three pages of facts about the character’s powers and costume. Lee bookends the collection with a prologue and epilogue discussing the character’s appeal while gushing about the upcoming Spider-Man TV series. Two months later the second Pocket Book collection was released, this time featuring Marvel’s most famous super-team, The Fantastic Four. Following the format of the previous collection Lee wrote a prologue and epilogue discussing the success of what he called the series’ ‘realistic fantasy’. 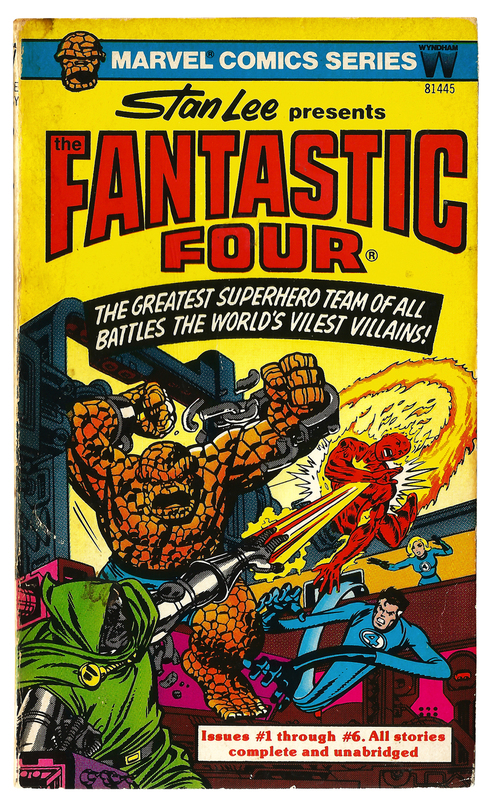 The book features complete reprints from The Fantastic Four issues one to six (November 1961 – September 1962), as well as original covers, four pin-ups and a page detailing Mr Fantastic’s powers. Yet despite being a cornerstone of the Marvel Universe this was the only Pocket Book treatment The Fantastic Four would receive. January 1978 saw the release of a second Spider-Man collection (see the top of this post for the cover), reprinting issues 7-13 of The Amazing Spider-Man (December 1963 – June 1964). Again Lee bookends the book with text commentaries but the covers and pin-ups pages are dropped due to space constraints. 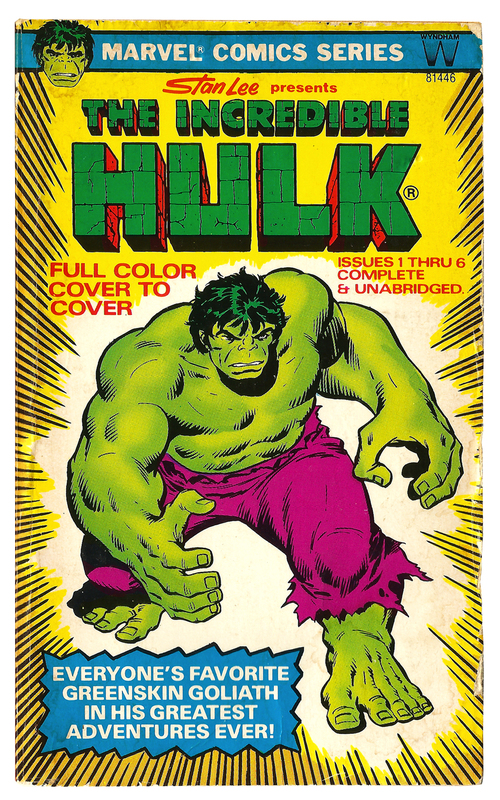 A collection featuring Marvel’s green behemoth came next with the release of The Incredible Hulk #1 in spring of 1978. Lee again introduces unabridged reprints from the original six issue run of the character’s titular comic, which originally saw print from May 1962 to March 1963, before being cancelled with issue six. The original covers are reprinted as well as a double page pin-up. To maintain the character’s continuity The Hulk was recoloured from grey to green. Dr Strange #1 was released three month later, reprinting stories from Strange Tales issues 110 to 129 (July 1963 – February 1965). 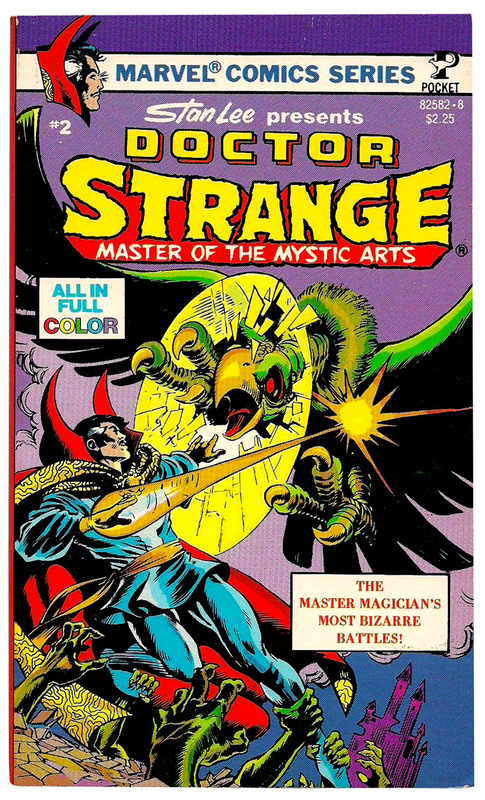 Lee’s introduction acknowledges artist Steve Dikto‘s contribution to the character’s success while a pin-up by cover artist Frank Brunner and a quote from the Prophecies of the Ancient One round-off the collection. 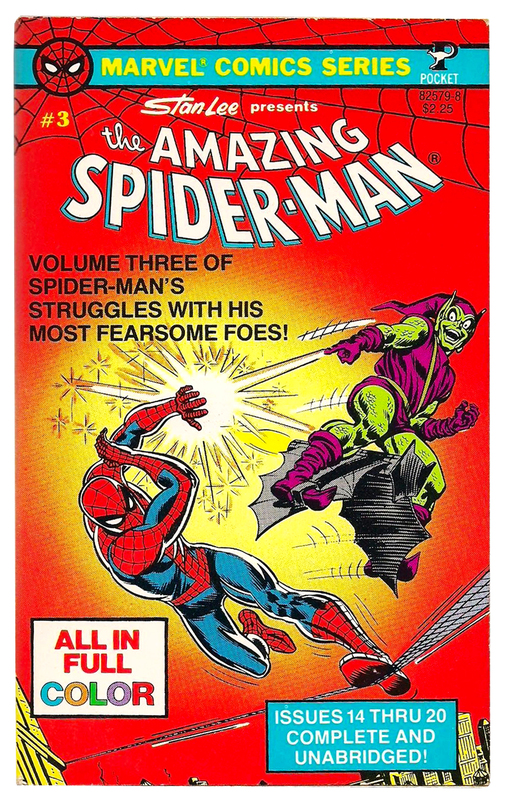 The sixth Pocket Book collection from early 1979 featured Spider-Man in his third and last outing. 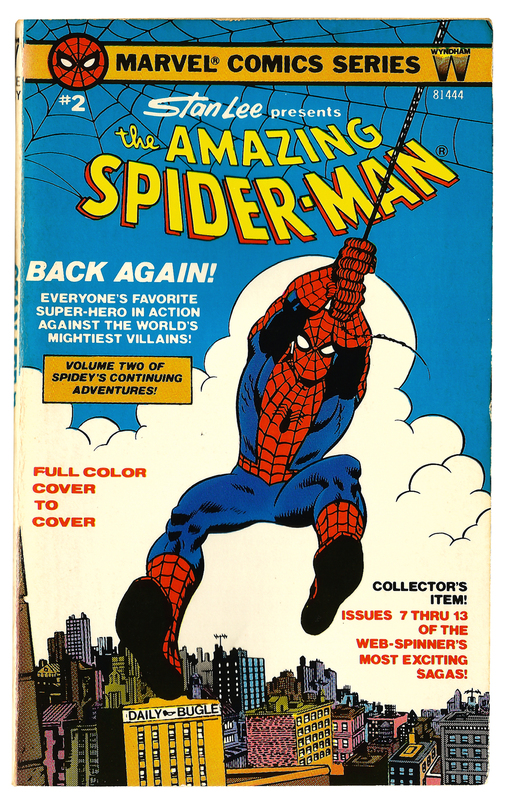 This volume reprints The Amazing Spider-Man issues 14 to 20 (July 1964 – January 1965) and featured a pin-up by Steve Ditko. 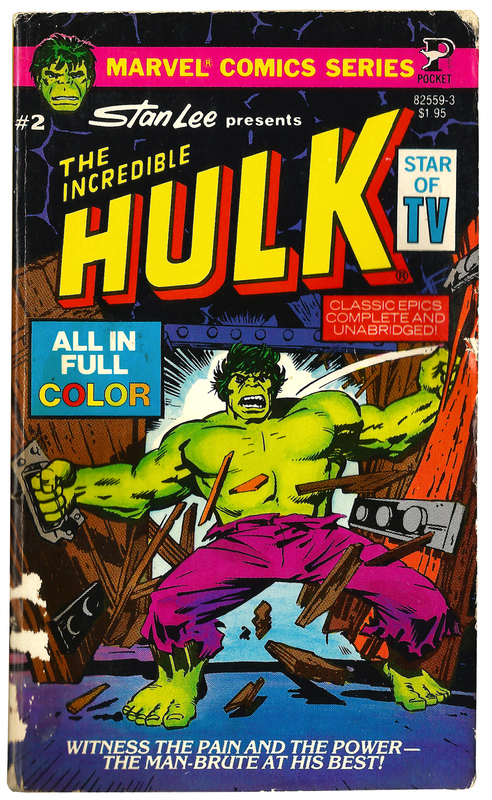 The Hulk received a second collection in January 1979. The volume features 15 stories reprinted from Tales to Astonish issues 85 to 99 (November 1966 – January 1968). Apart from these stories the only extras are two pin-ups while the cover reflects the character’s entry into popular culture, labelling him as the ‘Star of TV’. 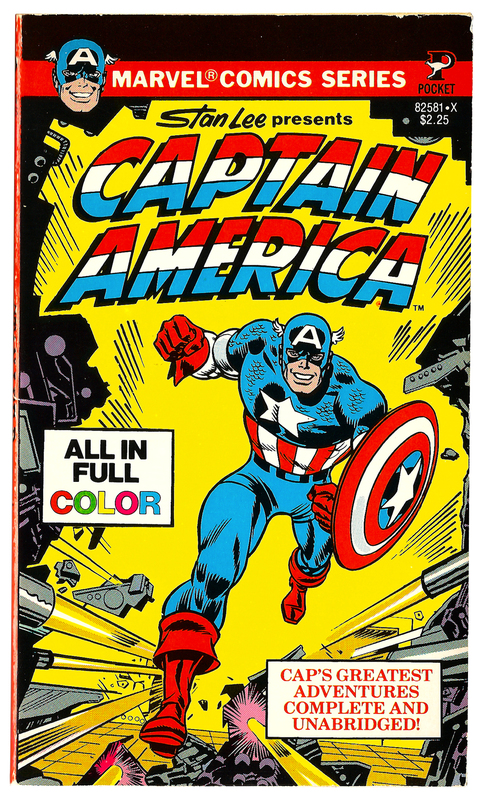 May 1979 saw the first and only appearance of Captain America in the Stan Lee presents collection. The stories reprinted are from The Avengers issue 4 (March 1964) and Tales of Suspense issues 59 to 71 (November 1964 – November 1965). The book doesn’t feature an introduction by Lee or any cover reprints but does have a page of reprint collection credits. 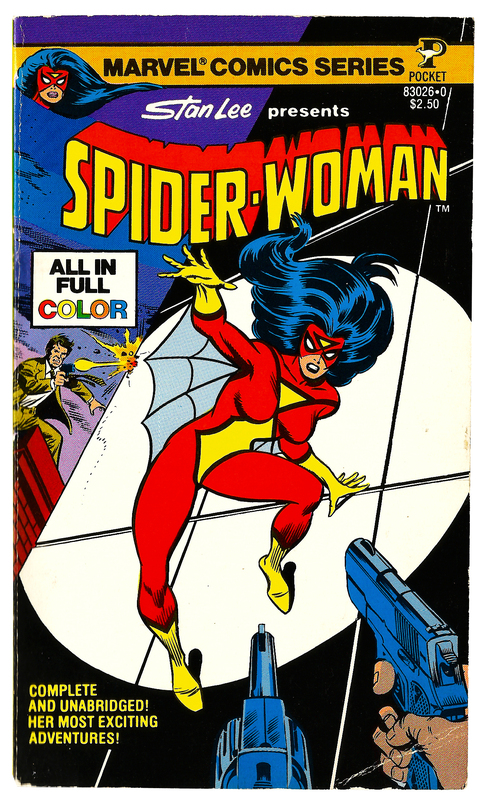 Published in September 1979 the penultimate entry in the Pocket Book series is a curious one: Spider-Woman. Clearly created to attract female readers by cashing in on the popularity of Marvel’s most popular character Spider-Woman‘s comic book debut was in Marvel Spotlight issue 32 (February 1977), making her the newest, and least established, character to feature in the Stan Lee presents series. This volume reprints that story as well as those from The Spider-Woman issues 1 to 8 (April 1978 – November 1978). No reprinted covers or text commentaries are included. The tenth, and last, entry in this series was Dr Strange #2 from 1980. This collection reprints stories from Strange Tales issues 130 to 144 (March 1965 – May 1966) and features another pin-up by Frank Brunner. 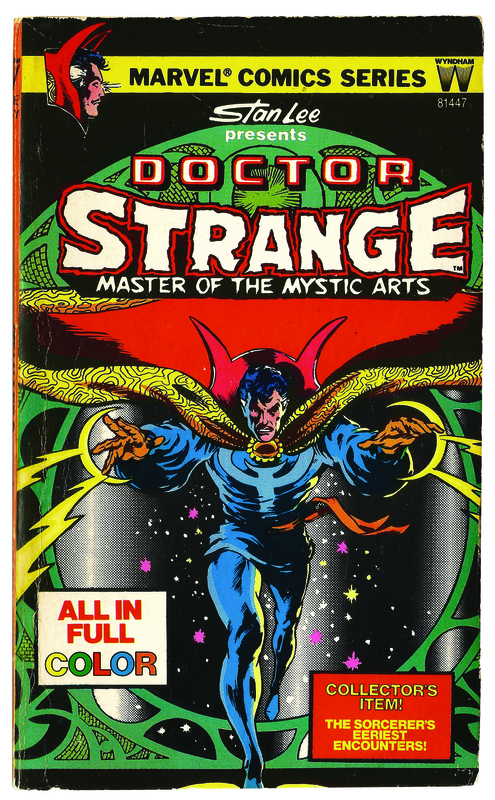 Although the Pocket Book series concluded with volume ten there were other attempts to reprint Marvel stories in paperback format. In the late Seventies Ace Books published six paperback collections featuring Conan The Barbarian while in 1980 two volumes of the popular Spider-Man newspaper strip also saw print. And in the early eighties the Pocket Book name was used by Marvel UK for a series of budget black and white reprints aimed at the British comic book market. I have very fond memories of reading the Pocket Book collections as a kid, especially the ones featuring Spider-Man and Dr Strange as I was a huge Steve Ditko fan at the time. I also remember that the smaller size of the books made them very handy for taking on holiday and many a dull caravan holiday in Wales was brightened thanks to those books. Granted, there were a few problems with the smaller book size. Firstly, extra space had to be added between the horizontal rows to make the original stories fit the taller dimensions of a paperback book (see example below). And secondly reprinting the stories at a smaller size sometimes made the text difficult to read – I find that rereading the Spider-Woman collection today is nearly impossible as the text is minuscule. Second-hand copies of all the Pocket Books can be found on Amazon Marketplace and ebay but their price reflects the age of the books, with many selling for £/$15 and above. All of the stories reprinted in those volumes are readily available in other reprint collections but I’m very fond of my Pocket Books collection and they hold pride of place on my shelf next to my Fireside Books.